All vertical lines done. 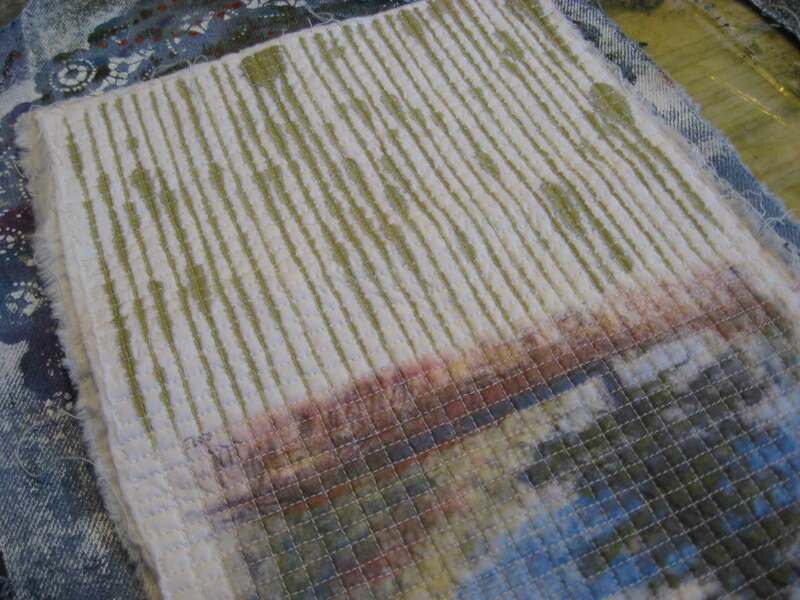 I liked it but continued with completing the grid lines. 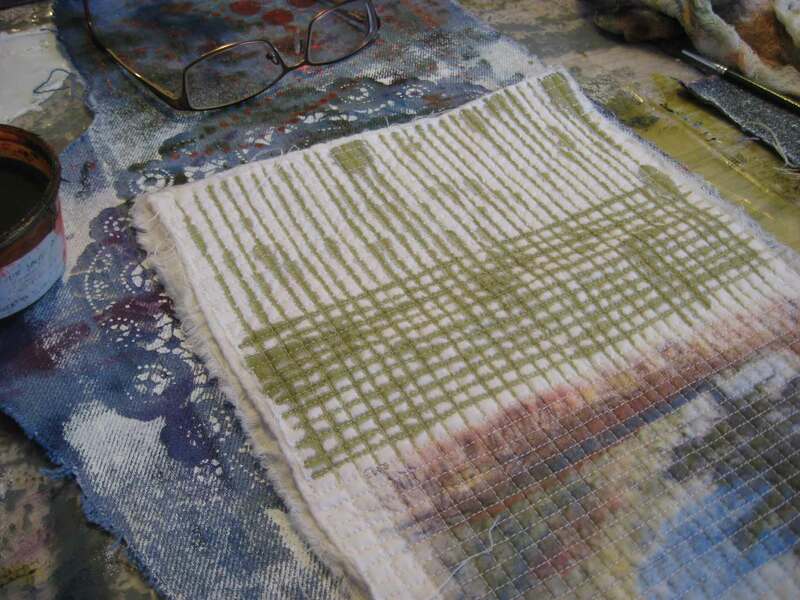 Landscape bag progressed in this way: a too faint monotype, monotype enhanced with pastel, scanned and printed on fabric, machine washed and dried, quilted to cotton batting, machine washed and dried again (to get that nice puckery texture). The total whiteness of what was going to be one side of the bag continued to bother me. 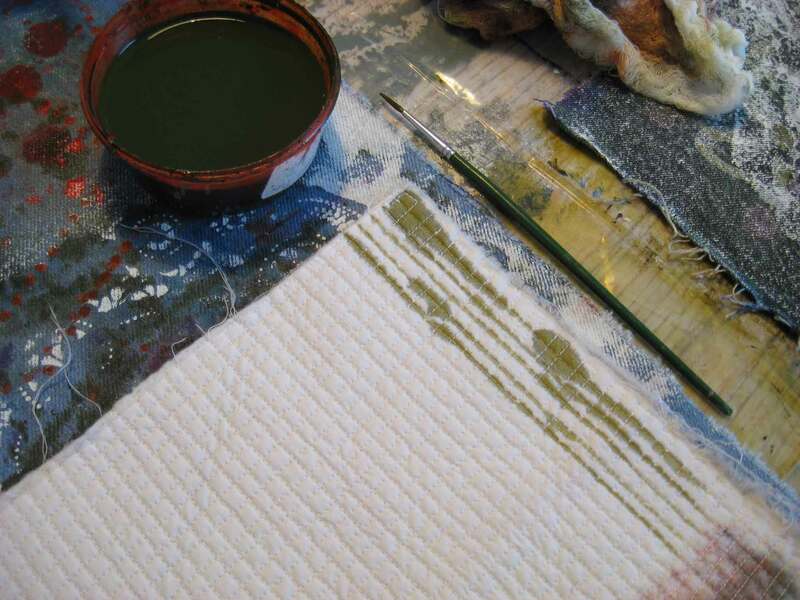 So I gathered my courage and applied a light olive green liquid pigment to the quilting lines. I liked it much better. 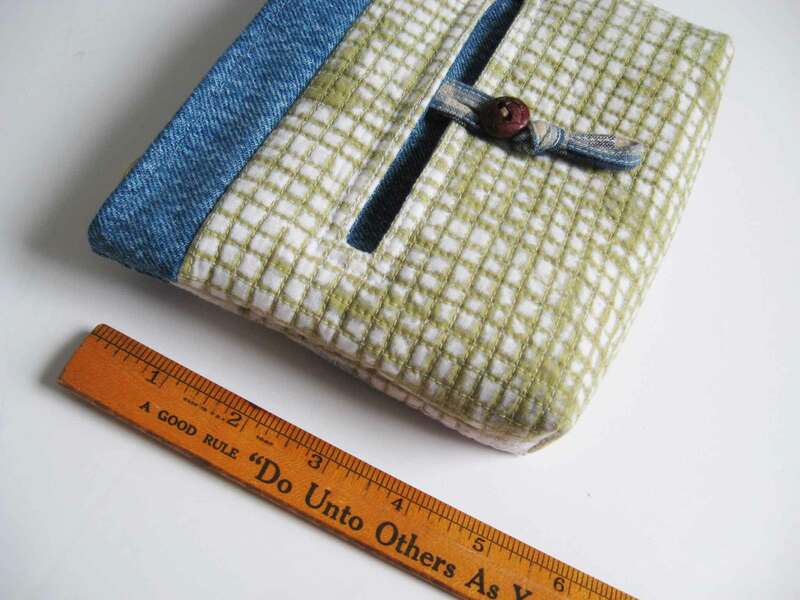 I sewed a simple slot outside pocket with button tab closing and innner tab loop with a swivel hook/clip. 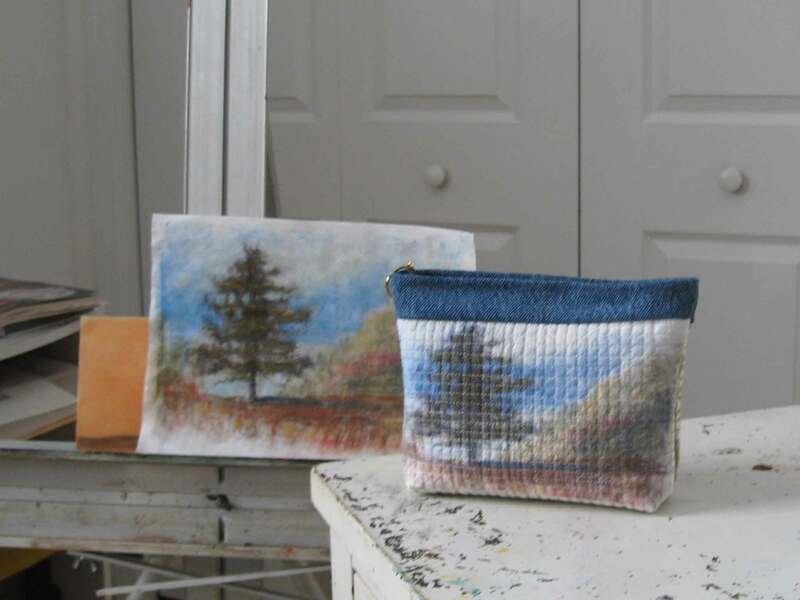 This entry was posted in Uncategorized and tagged art2carry, country life, country views, fiber art, graphite drawing, grid, landscape, nature, nature drawing, original bags, rural life, sewing, stitching, surface design, textile art, trees, unique bags, zipper pouch. Bookmark the permalink. nice to see your work Jan! Spent time in the mid west in 1999 teaching at st Cloud Uni!